Another regular item I want to introduce around these parts is an ATM. No not the hole in the wall you're thinking about, where you service all your cash needs but a "what I'm up to At The Moment" -or what I've been working on recently. 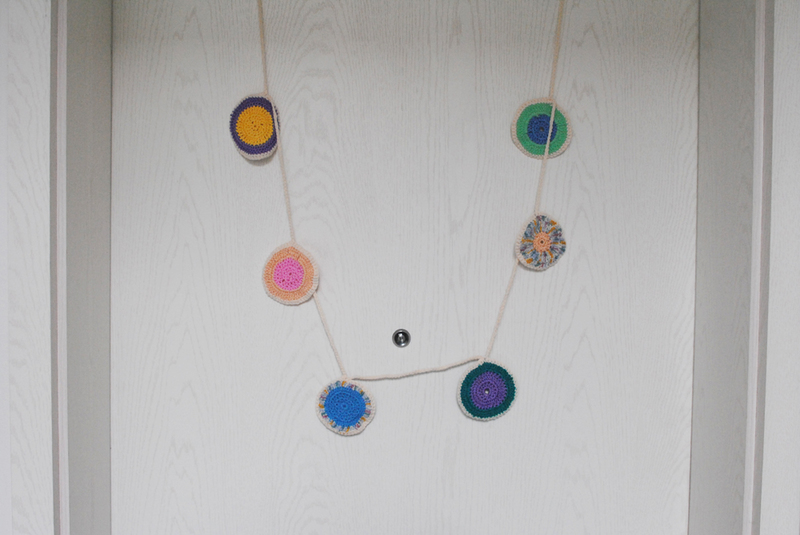 First up is a crochet garland to brighten up our apartments front door. I was inspired here through pinterest and from this lovely little lady's door. I've been Cooking with Spargel! 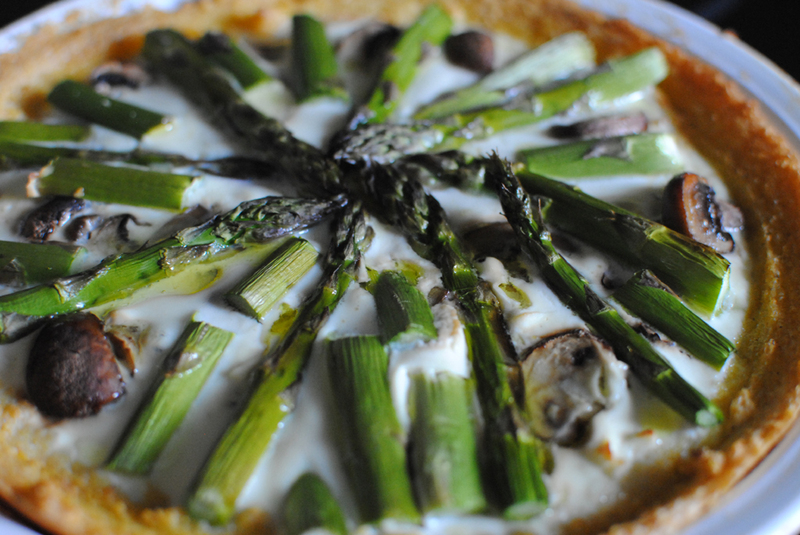 I actually made this mushroom and asparagus, polenta based tart from the Bojon Gourmet Blog. I made it a bit less gourmet by using button mushrooms instead of shitake and there was no truffle salt in sight, but it was still very yummy! It's the first time I've made polenta that didn't taste like meh -am I doing it wrong or is plain polenta just not nice?? (My spellcheck doesn't like polenta and wants me to change it to tadpole based tart, hmm doesn't sound as good). Would you wear a crochet bikini? Aw shucks! The garland looks great! And the tart looks so beautiful! 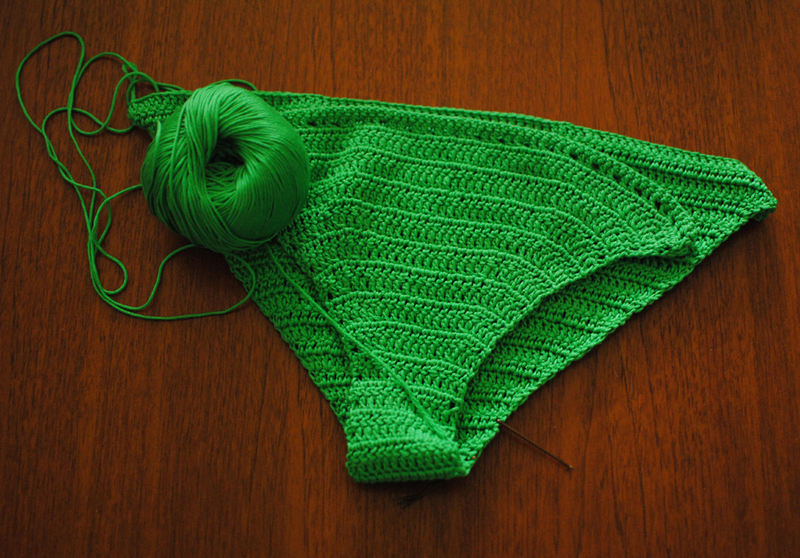 You're such a crochet wiz now! Can't believe you're making a bikini! Are you going to wear it?